Oxford Gold Group is a precious metals dealer offering lower commissions and 24-hour customer service. The owners have over 20 years of experience working for large precious metals companies, and they put that experience to work with personal service to customers. With Oxford Gold Group being an owner-operated company, customers work directly with the business partners for every sale, whether it involves directly purchased precious metals or precious metals individual retirement accounts (IRAs). Oxford Gold Group can help you rollover almost any type of retirement account into a Precious Metals or Gold IRA. Choose from over 15 types of gold and silver to invest in. Oxford Gold Group is a precious metals dealer located in Los Angeles, California that specializes in precious metals or gold IRAs. The company was founded in 2017 by partners with over 20 years of experience after they grew frustrated with the high levels of brokerage commissions charged by other companies. There are no commissioned salesmen, only the partners who have a personal stake in the company ensure customers get the best service possible. 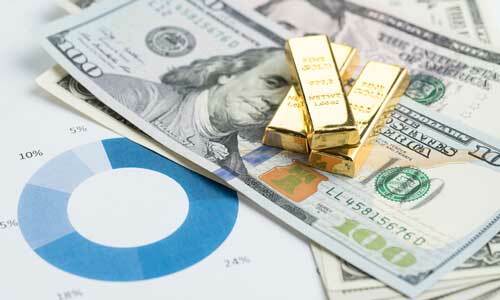 Oxford Gold Group uses an annual flat maintenance fee structure for Precious Metals IRAs. Maintenance fees range from $175 to $275 per year, depending on the amount invested in the IRA. Oxford Gold can offer customers a flat fee structure because services and costs have been standardized through their relationship with the two IRA custodians they work with, STRATA and Equity Institutional. Owners of larger accounts get rebates to reduce maintenance fees. Rebates vary depending on the size of the account, and larger accounts can use rebates for several years. A partner at Oxford Gold Group told us that their average IRA client pays no maintenance or storage fees on accounts for the first three years under the rebate program. Storage costs vary depending on the vault companies that Oxford utilizes for an account. On average, storage fees run from $175 to $225 a year. However, depending on the size of the investment, Oxford Gold offers a rebate to clients for one to five years for storage fees paid. There are no shipping fees. Commissions are charged for buying or selling precious metals, as is the norm for any investment, but Oxford Gold Group does not charge brokerage fees. There are minimum amounts per purchase restrictions with $7,500 for an IRA and $1,500 to buy metals outside of an IRA. When the time comes to liquidate holdings, Oxford Gold Group has both a buy-back and a no-fee liquidation program. Oxford Gold Group is a full-service dealer with access to a wide variety of precious metals for direct purchase. The company deals in an assortment of gold and silver bars and coins approved both for IRA investments and private collections, and other products traded on the precious metals market. Precious metals allowed in a self-directed IRA are gold, silver, platinum and palladium. An Oxford Gold partner can ensure that these are in an IRS-approved form. What Oxford Gold Group is truly selling is their service. The partners are in business to handle what would otherwise be complex precious metals transactions. They help clients formulate an investment plan with the appropriate amount of risk for the individual. Oxford Gold Group’s 24/7 customer service is there to help clients protect and grow the equity in their accounts. Precious metals IRAs are self-directed IRAs that hold gold bullion and other precious metals that are approved by the IRS. It is essential to work with an experienced dealer to ensure your IRA holds the correct metals and meets storage guidelines with an approved non-bank trustee or a bank where access to your investment is limited. When you work with Oxford Gold Group to set up a Precious Metals IRA or a non-retirement investment account, you own the physical precious metals instead of holding stock in companies. These investments are attractive to investors who are concerned about the possible devaluation of the dollar or want a hedge against a stock market crash. When you own the actual metals, there is no concern about electronically-stored records of stock ownership being incorrect or inaccessible due to computer errors on Wall Street. Compared to investing in diamonds and other precious stones where there is limited access to open markets and supply is often controlled by one company (DeBeers, in the case of diamonds), precious metals are much easier to buy and sell. Similar to other IRAs and investments, the trustee must report asset gains and losses on IRS Form 1099-B. Storage facilities must segregate precious metals by each customer, so the metals purchased are the same when sold. Form 8300 must be submitted to the IRS when you buy over $10,000 worth of precious metals in a single transaction or a set of transactions within a 24-hour period. Oxford Gold Group works to make the rollover and new account process simple, with the goal being for the application process to take less than 15 minutes to complete. An Oxford Gold Group partner can work with you over the phone to complete the application for a new self-directed IRA or rollover IRA. Once the application is completed, the partner sends the form to you for signatures and copies of identification. When Oxford Gold Group receives your paperwork and money to fund a new IRA, the account can be opened quickly, often in 24 hours. If your new account is a precious metals rollover IRA, Oxford Gold Group will contact your current IRA custodian to arrange for the transfer of funds into the new account. Most custodians complete the transfer in three to ten days. After funds are received, an Oxford partner will go over investment options with you to make the initial precious metal purchases for the IRA. Oxford Gold Group has a four out of five-star rating with Trustpilot, with reviewers specifically mentioning how pleased they were with the detailed answers to questions received from Oxford Gold partners. Because Oxford Gold Group is a new company, they do not yet have a rating with the Better Business Bureau. Oxford Gold Group does not currently have any negative online reviews. Can Oxford Gold Group help me find a custodian for my IRA? Oxford Gold Group currently works with STRATA and Equity Institutional for Precious Metals IRA custodian services. You can also contact the IRS for a list of their approved IRA custodians. However, working with a custodian who has no current relationship with Oxford may complicate your IRA purchases and could fall outside the flat fee service. What storage company does Oxford Gold Group recommend? Oxford Gold Group currently offers free storage and insurance (subject to terms and conditions) through Delaware Depository, one of the most recognized depositories in the U.S.
Why can’t I store my Oxford gold or other precious metals at home? If you choose to invest in precious metals outside of an IRA, you are free to store gold and other precious metals in your home, however, this is not recommended for security purposes. Your homeowner’s insurance won’t cover the precious metals if they are stolen. IRS regulations do not allow keeping precious metals held in an IRA at home or in a personal safety security box. Does Oxford Gold Group guarantee the rate of return on precious metals IRAs? There are no guaranteed investments in any market. Gold and other precious metals values rise and fall. Gold and silver rose significantly between 2000 and 2011, then experienced a downturn for several years before recovering. Investment experts usually recommend a long-term approach to investing in precious metals, as is the case for most retirement investments. The partners who own Oxford Gold Group left other precious metals firms because they saw a chance to offer a high level of customer service and knowledge of the business for lower fees. By partnering with a small group of custodians and vault companies, Oxford Gold can make Precious Metals IRAs as simple as possible for the consumer. As a newer company, customer feedback online is limited, but the reviews are positive. We recommend that potential clients speak directly to a partner to determine if Oxford Gold Group is a good fit for their investment goals and preferred level of service. If you’re interested in getting a quote or learning more about Oxford Gold Group, call 888-200-5586 or visit their website for a personalized quote.